Cities that want to be a tourist destination need a fun street. Until Pub Street, Siem Reap had little to offer except the world's greatest monastery emerging from the mist of what for westerners was an unknown history. Hanoi was a city with the pinched mouth reputation of a vintage aunt sitting in layers of war dust and doughtiness. 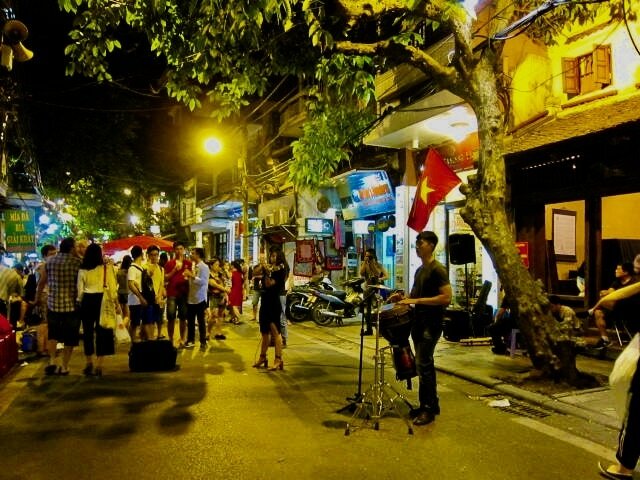 But now it's got its own Pub Street, Ta Hien and MaMay have become tourist magnets with live bands on the corners and the laughter of the world. After a day's March through monuments war memorabilia and old colonial architecture, when it's time to get the dust out of your mouth, the history out of your head and party, this is where you come. ​There are bands, both traditional and modern so everyone could enjoy their favourite music. 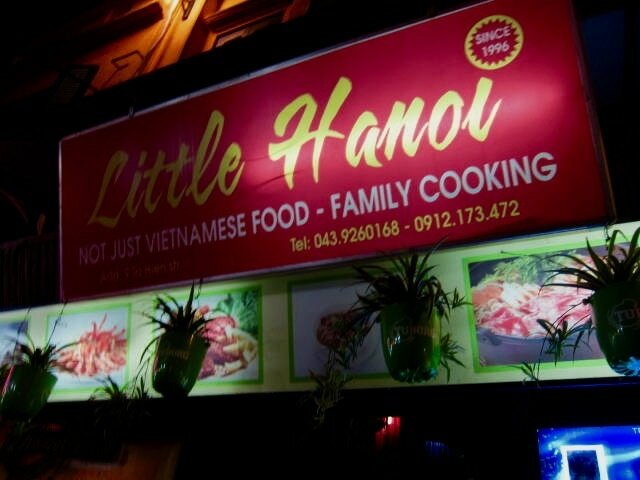 ​A young couple, Vietnamese wife and Malaysian husband, invited us to go out with them to a restaurant there called Little Hanoi. Our Vietnamese friend told us that if you want to have home cooked Vietnamese food, this is where you go. The place was full when we arrived but they happily accommodated us when one table occupied by European diners gave us room. We happily thanked them and sat down. Given that our friends know this place well, we left the ordering to them. The food was really good and our Vietnamese friend explained how we can cook these dishes at home. We had chicken in 5 spices, aubergine, morning glory in garlic sauce and seafood in passion fruit sauce. 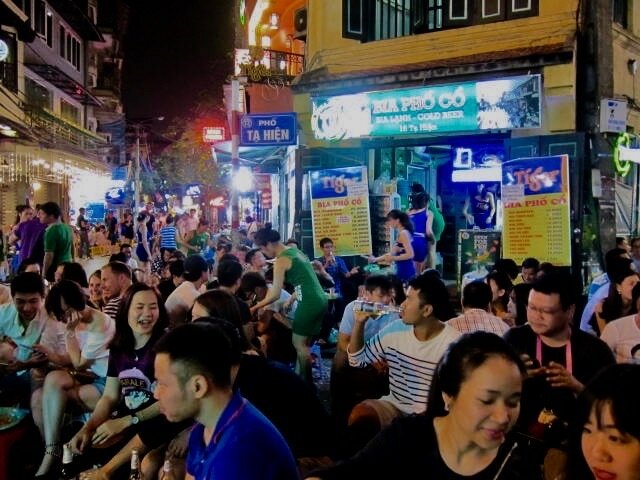 But what really overwhelmed us was this whole area around Ta Hien and Ma May which are closed off to vehicle traffic and becomes a huge eating and drinking place. 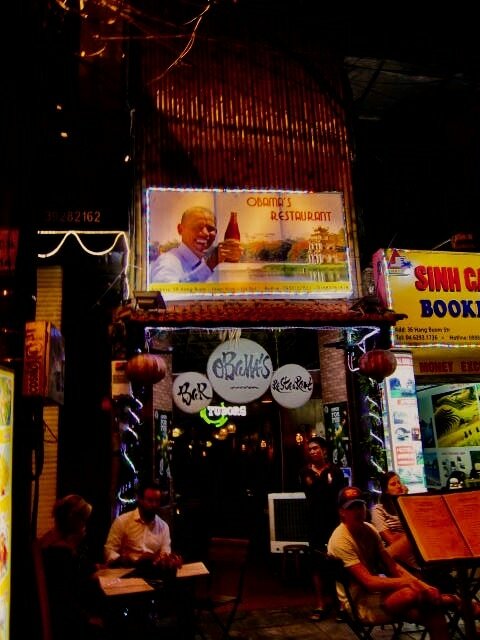 Tables line the streets and diners sit in their tiny stools enjoying promotional drinks especially Tuborg and Bia Hoi. 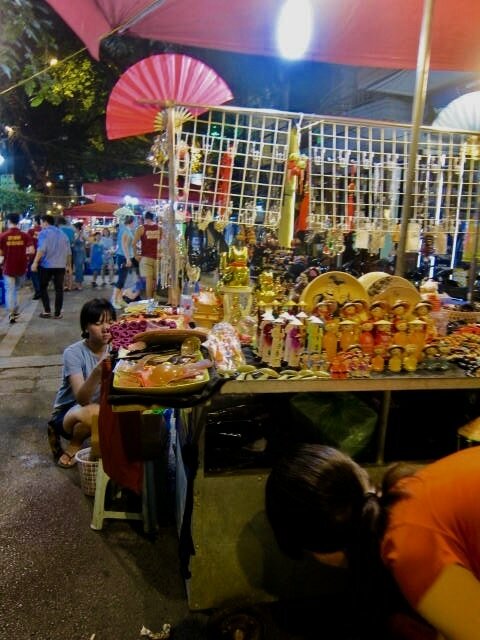 Vendors are equally happy to promote their wares as people walk about. Foreigners mingle with locals and young people go in clubs and dance their heart out. There's even an Obama Restaurant. There's wholesome fun for everyone and what more can you ask for in a city? 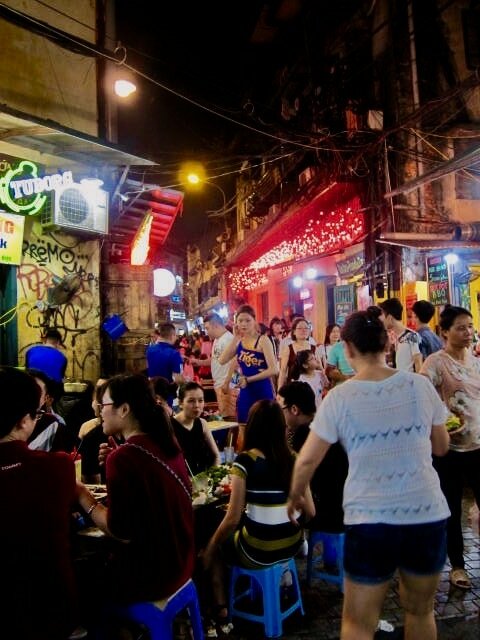 The next time you visit Hanoi, make sure you are here on the weekend and experience street life during the day and in the evening, enjoy night life in Ta Hien and Ma May Streets. When you see an old couple rocking in one corner, that's us. Wave. On weekends, the streets in the downtown core of Hanoi are also closed off during the day and makes this place a huge park for young and old to have fun. Here's the link. 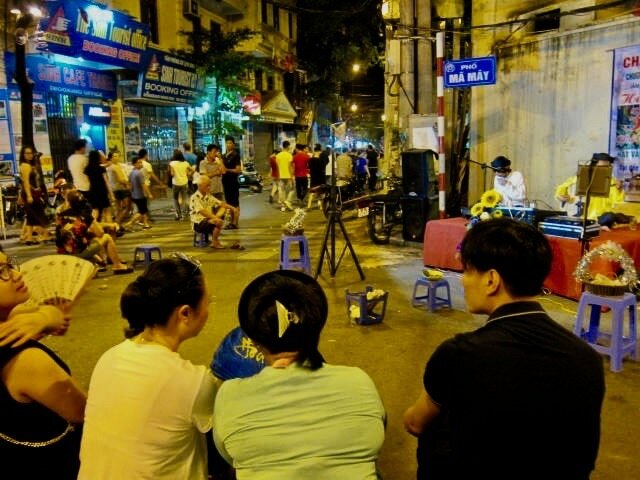 There's also a new book street in Hanoi in the historic December 19 Street. The closed off section offers book kiosks, cafes and reading nooks. Worth a trudge. 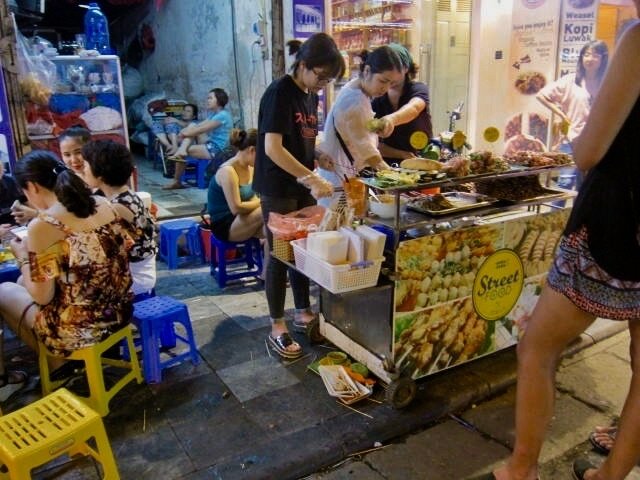 ​What do you think of these newly redefined places for pedestrians in Hanoi? Vietnamese lanterns are crafted using bamboo frames and silk fabrics in stunning colours. They fold like a tube and expands when opened. You can put a bulb inside and use this as a shade or just hang it to bring colours to dark and plain corners.